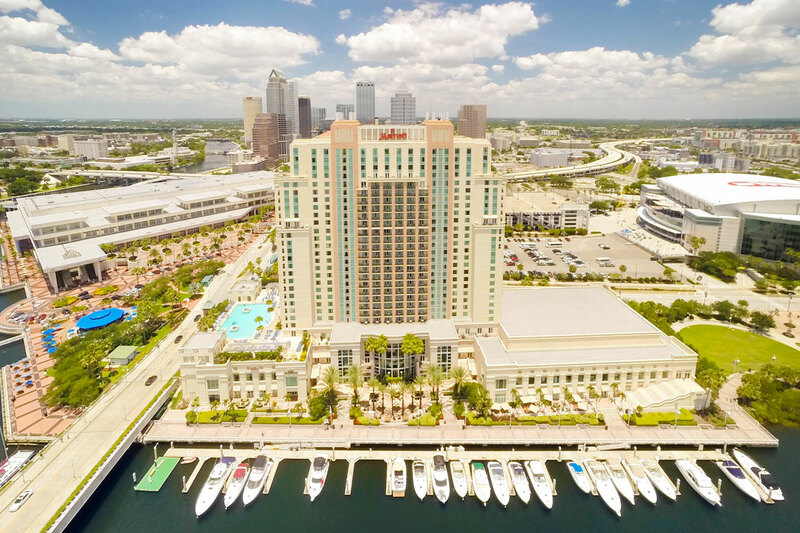 Treat yourself to a day of relaxation at Tampa Marriott Waterside Hotel & Marina. 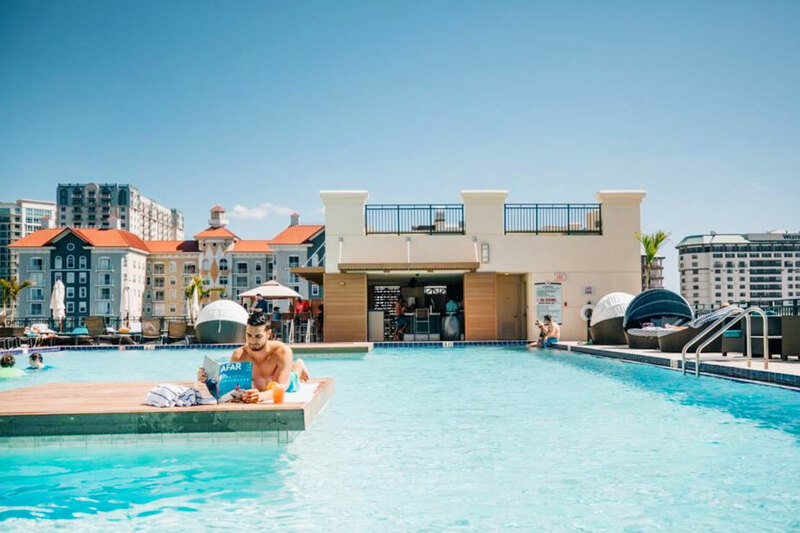 Take in the iconic views of downtown Tampa while sipping a cool, refreshing cocktail at the shimmering rooftop pool. 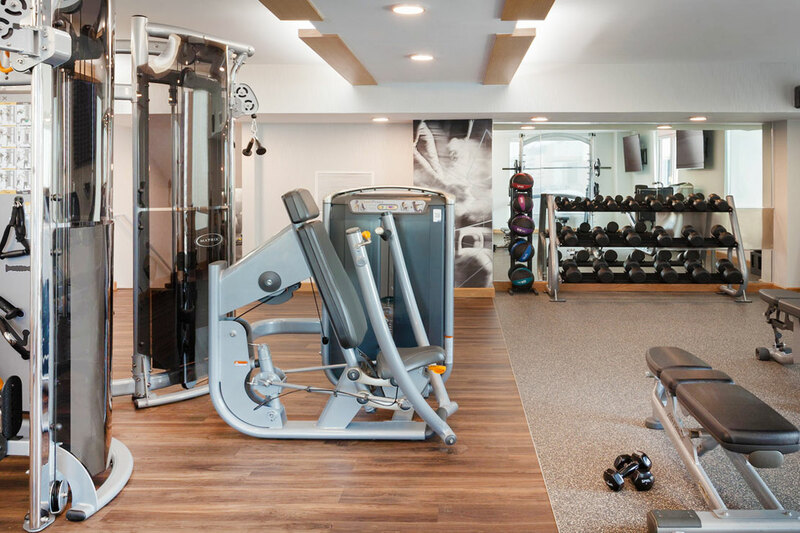 For those seeking a more active experience, take advantage of the fully-equipped fitness center and unwind in the soothing whirlpool. 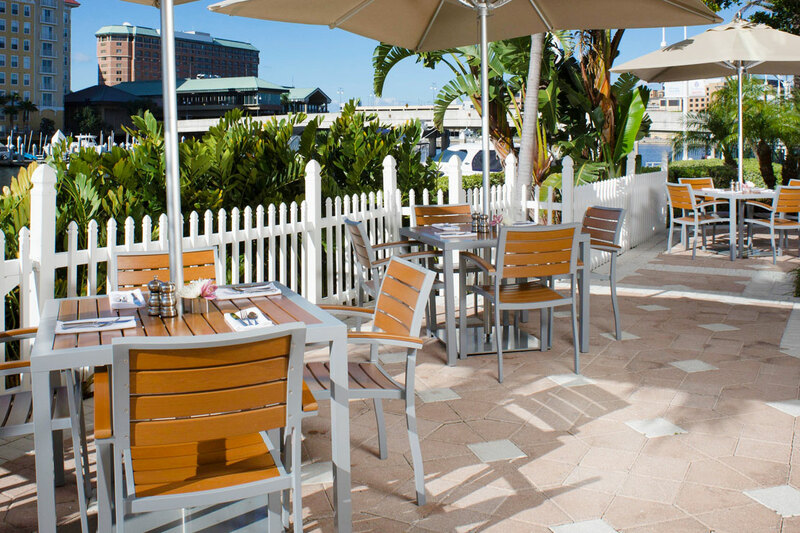 For a delicious meal visit the Waterside Grill where you can enjoy fresh caught seafood or a flavorful steak. 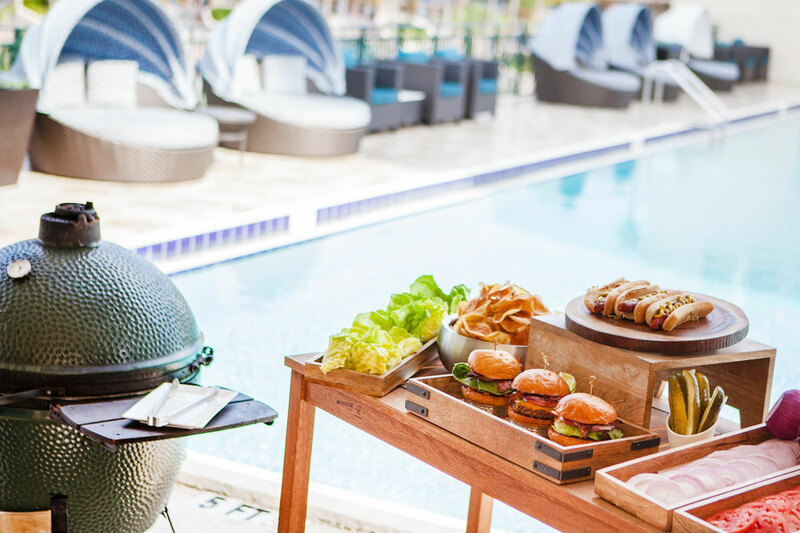 Whether you are lounging poolside in a daybed or breaking a sweat in the fitness center, Tampa Marriott offers the perfect daycation! 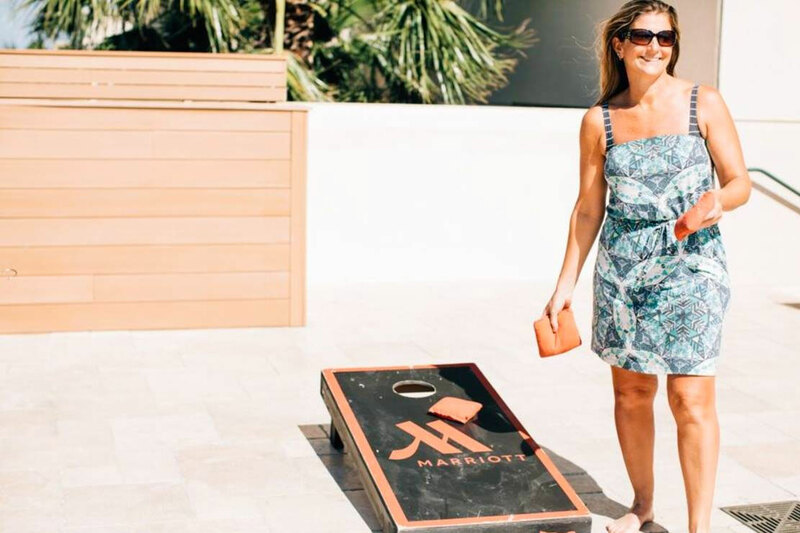 Daybeds can be cancelled by 10:00am EST on the day before your booked date. April 8, 2019 Shawn W.
We got off a cruise with 12 hours until our flight home and this was a wonderful relaxing way to spend a day! Hotel was great, pool and amenities were so relaxing, service at bar and food were top notch! Would definitely go back! March 28, 2019 Lisa S.
There is construction going on right now but aside from all The noise it’s lovely. Very close to the kayak rentals so we were able to get out in the water and still come back for lunch and lazy around the pool. March 24, 2019 Jessica W.
It was our first time doing a resort pass and we had a great time!!! The construction made getting there a little confusing but utilizing the valet made it pretty easy for parking. Will definitely do this again!!!! March 20, 2019 Carol C.
Very nice and simple process. No problems whatsoever! We really enjoyed the amenities and the discounted valet service. March 15, 2019 Venessa B. Resort pass was super easy to use and I was able to enjoy a relaxing day at the pool for my birthday! March 5, 2019 Ali H.
Pretty views but the construction was over the top. SO LOUD. And we got a nail stuck in our tire as we were leaving the construction zone...er hotel... if you go, wait until 2020 when the cranes and diggers have moved onto a new project. 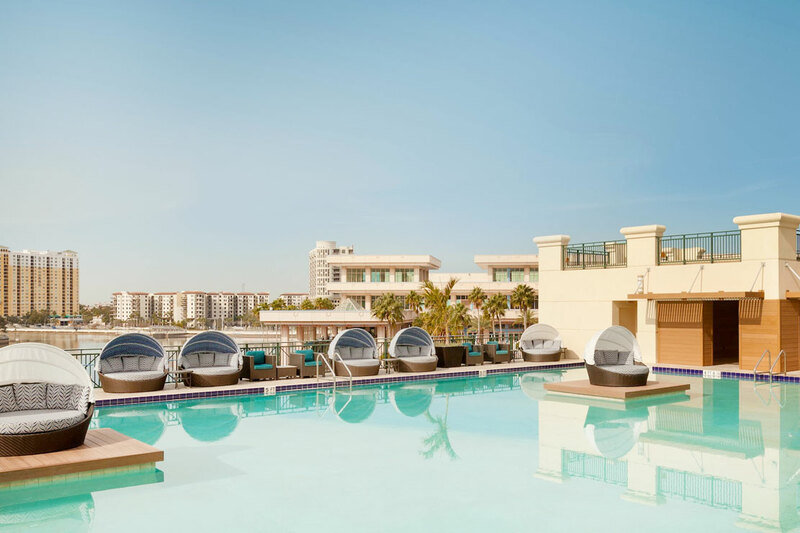 February 26, 2019 Ariadna P.
The pool was beautiful and spacious at the Marriott. The attendants and staff were very courteous and attentive. Food is ordered at the outside bar from the downstairs restaurant and staff will bring it up to you in to-go bags. The only downside to this hotel is the current construction, which impacts entry into the hotel and valet area. Be prepared for views of cranes and heavy machinery at entry and on the pool deck- the entire entry point to the hotel is ensconced in cones, one way directed traffic, and naturally - construction. Up on the pool deck, the views continue poolside of construction cranes. If you simply want a spacious and relaxing poolside experience- this is a great deal, but know for the time being what you may encounter. This won’t last indefinitely, and I’m sure once finished, the daypass experience will be lovely from start to finish. February 25, 2019 Adena N.
We had such a good time at the Tampa Marriot! The pool was beautiful, with a view to boot! Getting checked in was no problem and the discount valet was such an asset to our experience (the area was BUSY and there was a lot of construction so we were so so happy to avoid finding parking). Definitely would return, thanks Resort Pass!